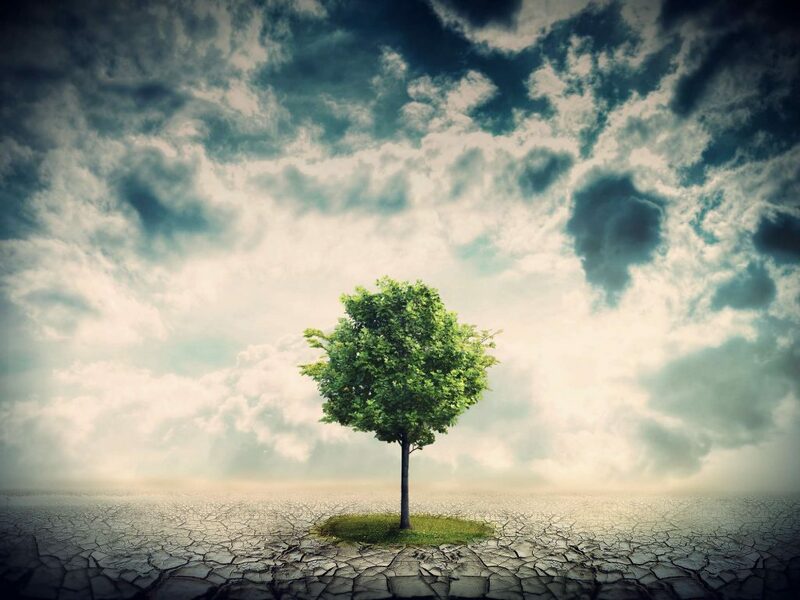 A tree is known by its fruits. And so, here is what happened when humble souls, alive to the will of God, did not “despise prophetic utterances”, but “tested everything” and “retained what was good” (1 Thessalonians 5:20-21). The fact is that souls such as Noah, Daniel, Moses and David constantly discerned God’s will through the “private revelations” given to them. It was a “private revelation” that inaugurated the Incarnation. 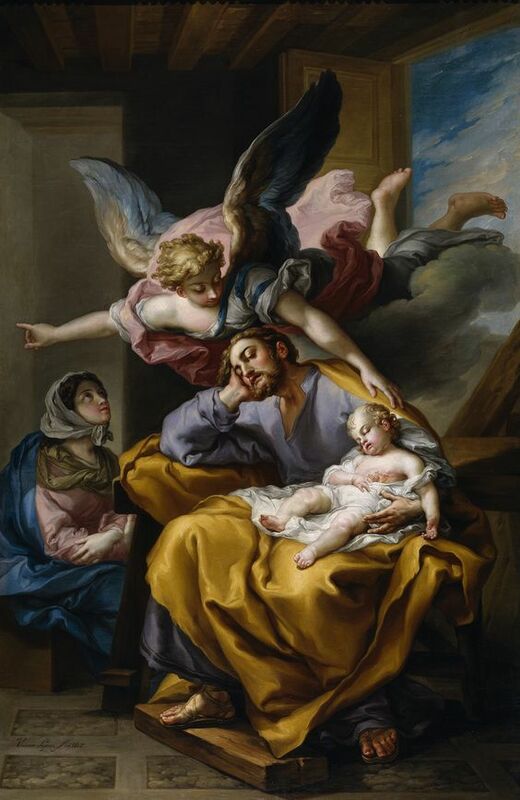 It was a “private revelation” that inspired St. Joseph to flee with Mary and the Christ child to Egypt. St. Paul was converted through a “private revelation” when Christ knocked him off his high horse. Portions of Paul’s letters were also “private revelations” transmitted to him through visions and mystical experiences. Indeed, the entire Book of Revelation given to St. John was a “private revelation” through visions. The following souls also received “private revelation” that, while not considered part of that definitive “Public Revelation” of Christ, yet demonstrate how important, if not crucial, that listening to prophecy is in the life of the Church. In the early centuries of the Church, they fled into the desert, and there, through the mortification of their flesh and interior silence and prayer, God revealed the spirituality that would form the basis for the monastic life of the Church. Many a pope has attributed to the holy souls, who have consecrated themselves to monastic life in the abbeys and cloisters of the Church, as being the ones whose prayers have sustained the People of God in her most difficult hours. A man once consumed by riches and glory, young Francesco one day passed by the chapel of San Damiano in Italy. 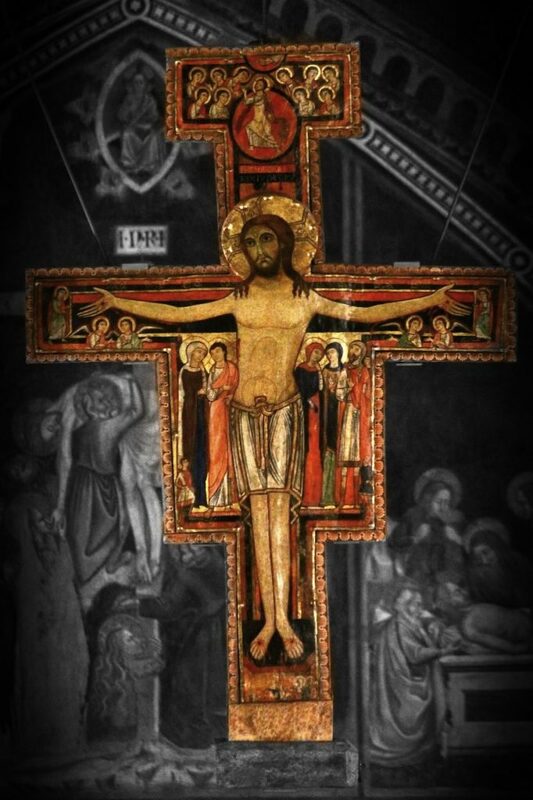 Gazing at a small crucifix, the future St. Francis of Assisi heard Jesus say to him: “Francis, Francis, go and repair My house which, as you can see, is falling into ruins.” It was only later that Francis realized that Jesus was referring to His Church. To this day, the obedience of St. Francis to that “private revelation” has influenced the lives of countless millions, including the present Pope, and has spawned thousands of apostolates worldwide that have put spiritual and physical poverty at the service of the Gospel. At the same time that St. Francis was being raised to counter the worldliness spreading in the Church, St. Dominic was being equipped to battle a spreading heresy—Albigensianism. It was the belief that everything material, including the human body, was essentially created by an evil entity while God created the spirit, which is good. It was a direct attack against not only the Incarnation, Passion and Resurrection of Jesus, but therefore also Christian morality and the saving message of the Gospel. The “rosary” at that time was called the “poor man’s Breviary.” The monastics meditated on the 150 Psalms as part of the ancient practice of the Office. However, those who couldn’t, simply prayed the “Our Father” on 150 wooden beads. Later, the first part of the Ave Maria (“Hail Mary”) was added. But then, in 1208 while St. Dominic was praying alone in a forest, begging Heaven to help him overcome this heresy, a ball of fire and three holy angels appeared in the sky, after which the Virgin Mary spoke to him. She said that the Ave Maria would give his preaching power and taught him to incorporate the mysteries of Christ’s life into the Rosary. This “weapon” Dominic, in turn, took to the villages and towns where the cancer of Albigensianism had spread. Indeed, it would seem that future victories in the Church would overwhelmingly be through that “Woman clothed in the sun” who would crush the head of the serpent time and again. As proof that she was appearing, she helped St. Juan fill his tilma with flowers—particularly Castilian roses native to Spain—to give to the Spanish bishop. 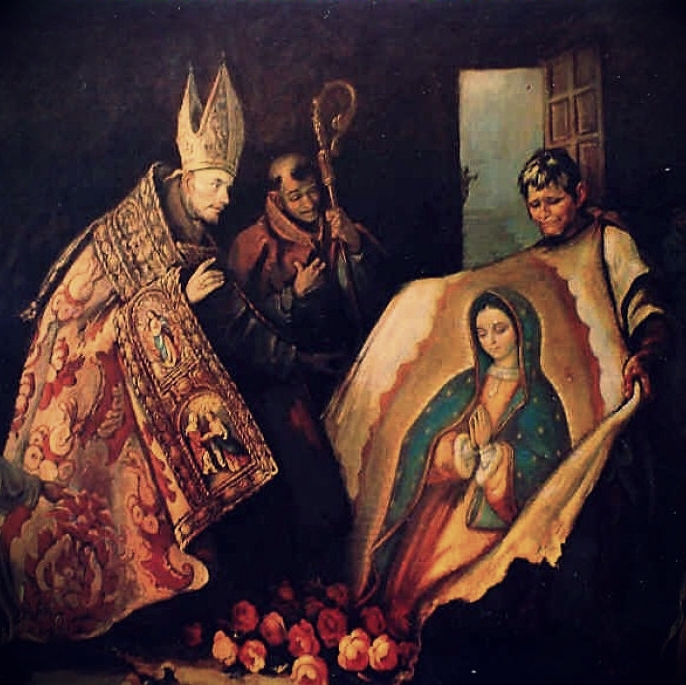 When Juan opened his tilma, the flowers fell to the ground and the image of Our Lady appeared on the cloak right in front of the bishop’s eyes. That image, still hanging today in the Basilica in Mexico City, was the instrument God used to bring human sacrifice to an end and convert up to nine million Aztecs to Christianity. 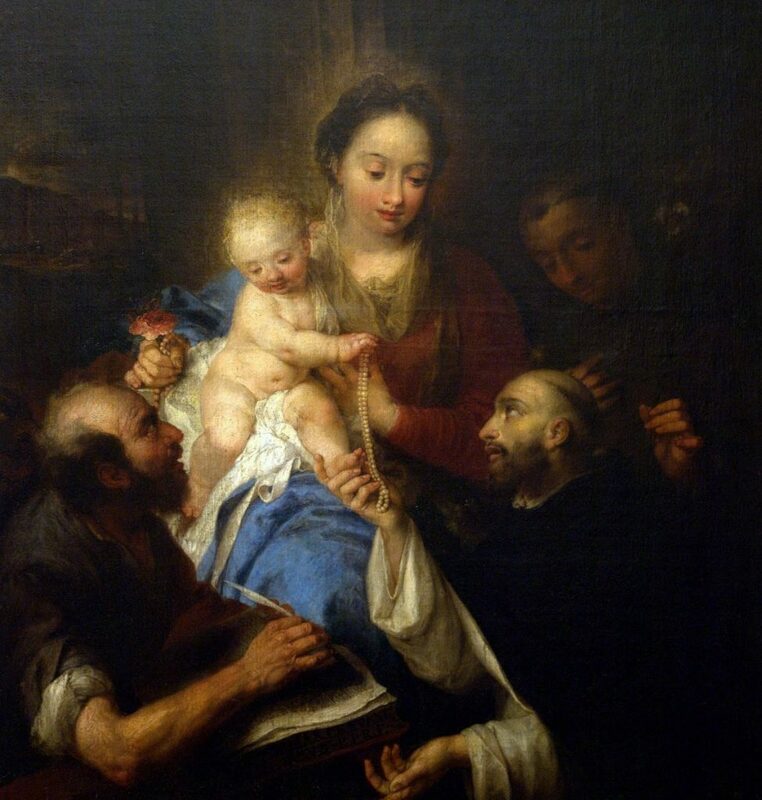 But it first began with the instrument of “private revelation” to St. Juan, and his humble “yes” to Our Lady. cf. Living the Book of Revelation As a sidenote… Admiral Giovanni Andrea Doria carried a copy of the image of Our Lady of Guadalupe on his ship when they fought at Lepanto. In one of the apparitions to the fourteen year old girl, Our Lady, who called herself “The Immaculate Conception,” asked Bernadette to dig away the dirt on the ground at her feet. When she did, water began to spring up, which Our Lady asked her to drink. The next day, the muddy water was clear and continued to flow…. as it does to this very day. Since then, thousands of people have been miraculously healed in the waters of Lourdes. As a precursor to the message of Divine Mercy, Jesus appeared to St. Margaret in a chapel Paray-le-Monial, France. 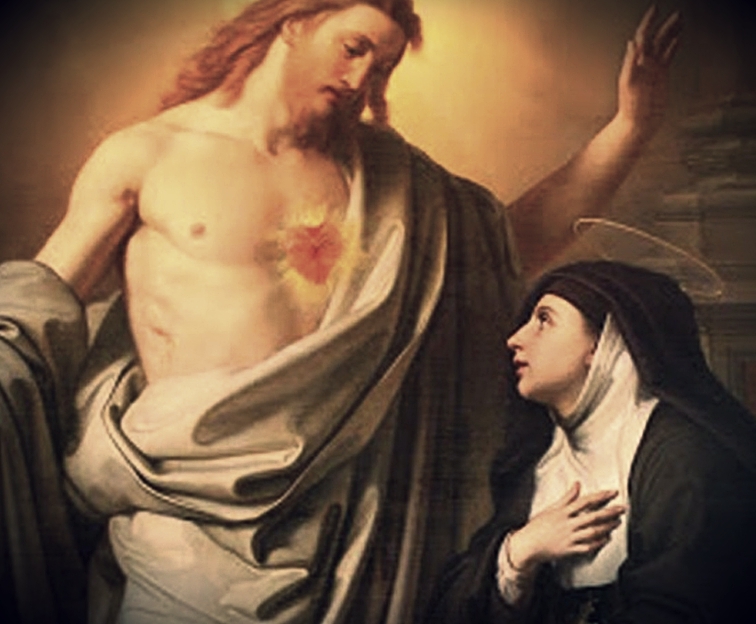 There, He revealed His Sacred Heart on fire for love of the world, and asked her to spread devotion to It. Heeding this “private revelation”, in the year 2000 at the dawn of the third millennium — “the threshold of hope” — St. John Paul II instituted the Divine Mercy Feast, as Christ requested. In the apparitions at Fatima in 1917, Our Lady requested the consecration of Russia to her Immaculate Heart in order to prevent the spread of the “errors” of Russia and the consequences therewith. However, her requests were not heeded or done according to her desire. 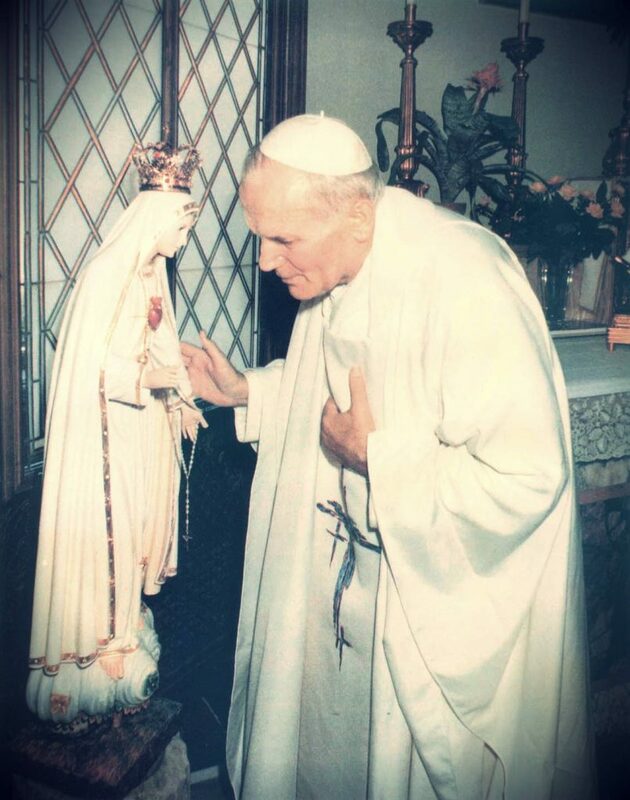 After the assassination attempt upon his life, St. John Paul II immediately thought of consecrating the world to the Immaculate Heart of Mary. He composed a prayer for what he called an “Act of Entrustment.” He celebrated this consecration of the “world” in 1982, but many bishops did not receive invitations in time to participate (and thus, Sr. Lucia said the consecration did not fulfill the necessary conditions). Then, in 1984, John Paul II repeated the consecration with the intent of naming Russia. However, according to the organizer of the event, Fr. Gabriel Amorth, the Pope was pressured not to name the Communist country, then part of the U.S.S.R. see Russia… Our Refuge? Setting aside the often heated debate on whether or not Our Lady’s requests were properly fulfilled, one could argue, at the very least, that there was an “imperfect consecration.” For shortly after, the “Iron Wall” fell and Communism collapsed. Since then, churches are being built in Russia at a stunning pace, Christianity is publicly endorsed by the government, and the immorality so widely promoted by Western governments has been stonewalled by the Russian State. The turnaround, in a word, has been stunning. Eight Jesuit priests survived the atomic bomb that was dropped on their city… only 8 blocks from their home. Half a million people were annihilated around them, but the priests all survived. Even the nearby church was completely destroyed, but the house they were in was minimally damaged. As fires burn through California today, I am reminded of the storm system that resulted in the Great Chicago Fire of 1871 and Peshtigo Fire that destroyed 2,400 square miles and killed 1,500 to 2,500 people. 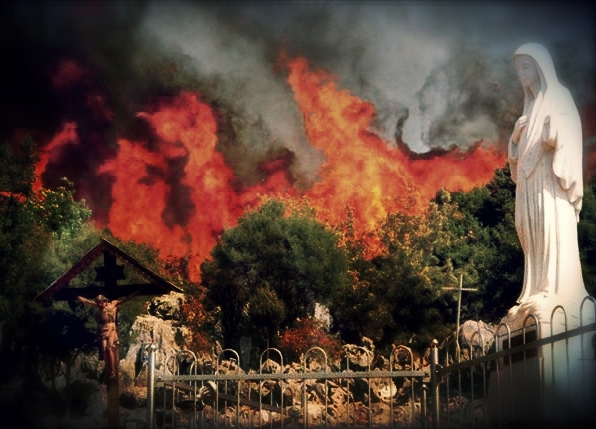 The fire occurred on the eve of the anniversary of the apparition. Very early the next day, the rains appeared and extinguished the flames. To this day, on the eve of the anniversary until the next morning, an all night candle and prayer vigil is held at the site, which is now The National Shrine of Our Lady of Good Help. Another sidenote: Adele and her companions were Third Order Franciscans. There are so many other stories that could be told of humble souls who, listening to and heeding the “private revelation” given to them, have impacted not only those around them, but evidently the future of humanity. The question that begs serious reflection is, what if any one of the individuals above rejected the revelation that they were given because it was “private revelation” and “therefore, I don’t have to believe it”? We would do well to reflect on what this means for us as Our Lady continues to appear and implore our cooperation, in numerous places throughout the world, at this hour. 5. ↑ see Russia… Our Refuge? Posted in HOME, MASS READINGS, SIGNS.